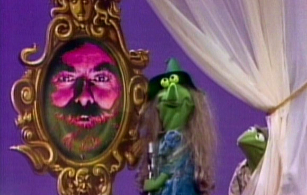 I’ve mentioned before that Kermit’s News Flash sketches were quite possibly my all-time favorite Sesame Street segments, or at least very high up on the list, most likely because most of them blend two of my favorite things: Kermit and fairy tales, specifically those of the fractured variety. Well, as it so happens, Season 6 brought with it a slew of Sesame Street News Flashes, all of which I’m covering today, other than the “Jack Be Nimble” one which appeared in my last highlights post. Little Jerry and the Monotones sing “Telephone Rock”. 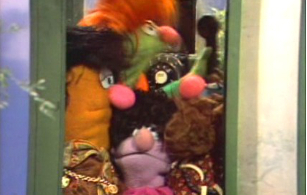 Today, I begin my survey of highlights from Sesame Street Season 6, and, as per usual, I begin with the clips included on the Sesame Street: Old School Volume 2 DVD set.